We have set up our fundraising page at Virgin Money Giving. 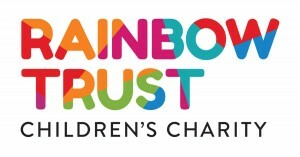 We are raising money for the Rainbow Trust children’s charity. The Rainbow Trust support families with children that have terminal or life threatening diseases. Go to the Virgin Money Giving website to donate and see our progress. Please have a look at the Rainbow Trust website for information about the organisation and the valuable work that they do. Moving the car late one night we noticed the lights were a little wonky so a plan was hatched, take another car with good lights and match the beam pattern. Adjusting screws located, it was just a matter of turning one small plastic adjusting screw, and this is where it ended. 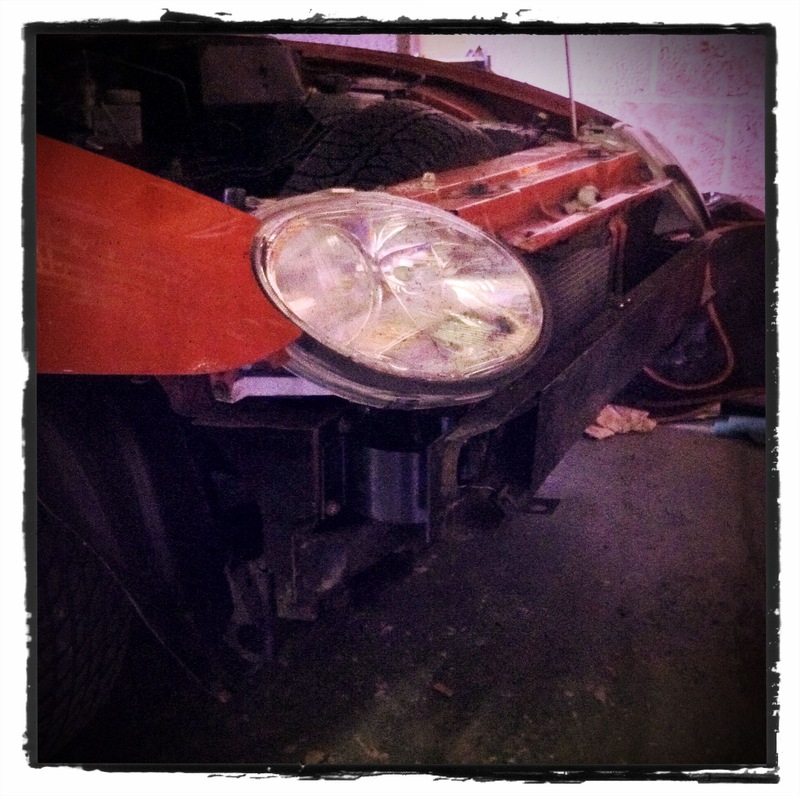 So the little plastic screw got damaged and the headlight had to come out, off comes the bumper to reveal the front impact bar. That had a nut missing from the main mounting point and a bolt wedged in at a jaunty angle on a single thread, now this is a banger but I am an engineer. 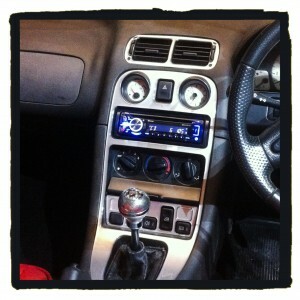 Support bar off, hole re-tapped, nyloc nut located and all back on. More missing bolts located and now the slam panel fits but the offside headlight position looks wrong because the surrounding panel is all bent out of shape, out come the big hammers. 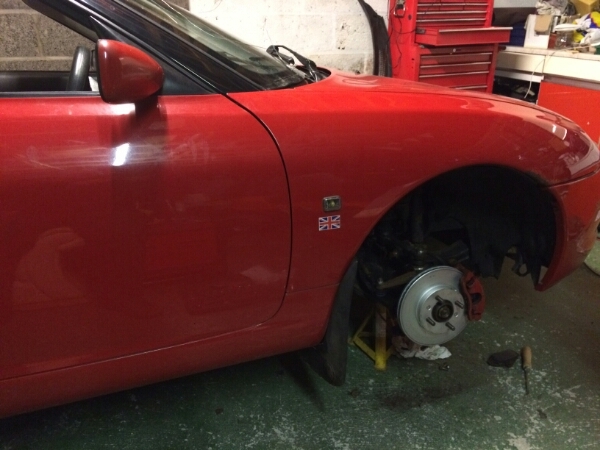 Now that the front end is actually attached to the car, and all the panels are roughly where they should be, we can finally adjust that little plastic screw, once I have put the front bumper back on. 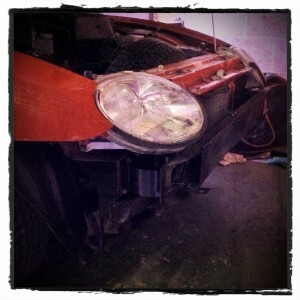 Oh and the headlight that needs adjustment also has a big chunk missing . Someone decided that plastic is softer than steel and decided to cut one of the main locating points clean off the light rather than cutting the small bolt attaching it to the car, genius! 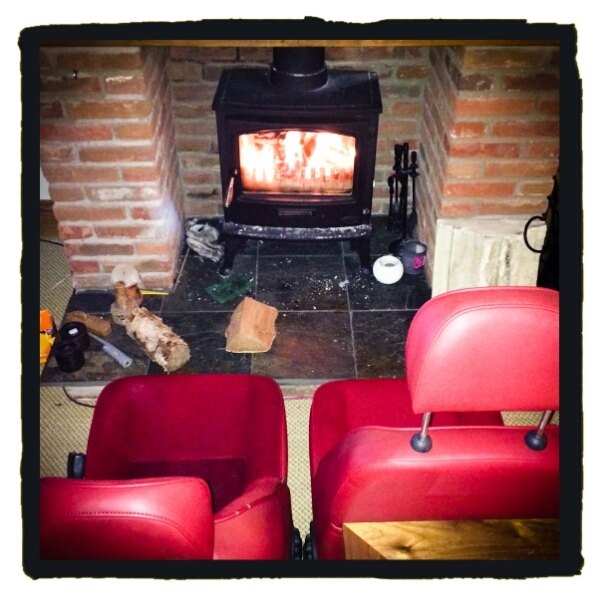 The seats enjoying their last night drying out in front of the fire… they’ll never have it so good. 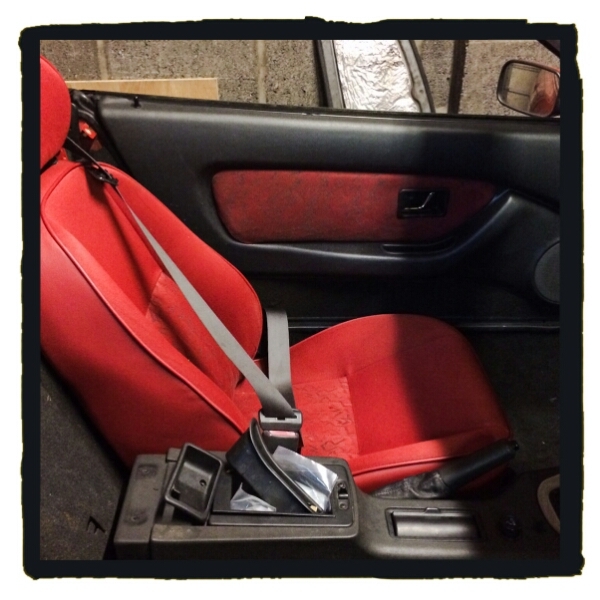 Moved the car for a bit of impromptu garage clearance this afternoon, first time I’d driven it since the brakes were done. They actually seem to work, maybe even well enough to pass an MOT!?! Lockup on the gravel, wasn’t quite expecting that.